Because whey protein supplementation is such a growing topic of interest amongst the general population of everyday people who are looking to “get fit,” “get swole,” and “get ripped,” many investigations have been performed to answer the huge question of “does whey protein ACTUALLY make that much of a difference in muscle mass accumulation with strength training?” Multiple studies have indicated that there is a noticeable difference. Walter et. al (2010) conducted a study that explored how different types of protein may affect the accumulation of muscle mass in strength training. 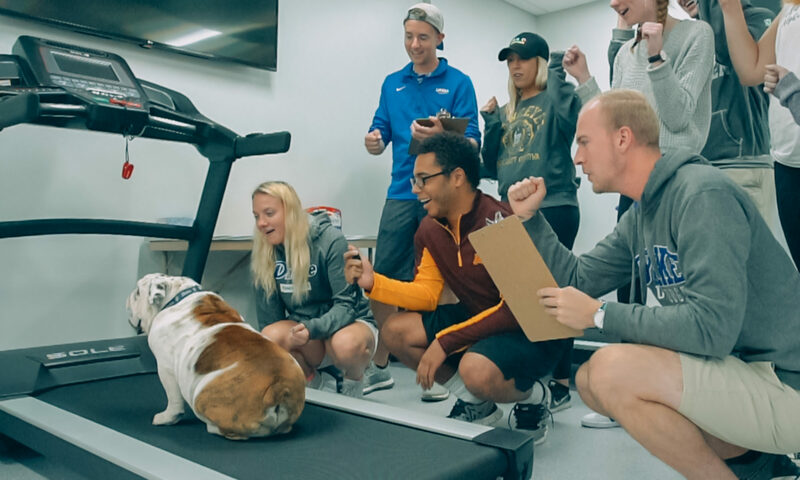 The participants were assigned to three separate kinds of “protein treatment.” There were two different kinds of whey protein isolates, and a placebo. Their findings showed no difference in muscle growth amongst the three groups post strength training time period, regardless of whether these participants were trained athletes or non-trained athletes. This possibly suggests that it matters solely on the kind of exercise and training you participate in; these results showing strength training. Is protein supplementation simply a scam in order for companies to make their business off of a naïve population of people? Whey protein leads to the greatest growth of muscle cell size. Whey protein increases the rate at which the body creates muscle proteins as a result of resistance training. Whey protein enhances muscle recovery in younger people. However, keep in mind that there may be some fallacies associated with gaining muscle from whey protein after strength training. Macnaughton et. al (2018) investigated how spot training and whole-body training with different amounts of whey protein supplementation (20 grams vs. 40 grams) affects muscle protein synthesis (A.K.A. muscle growth). Results displayed that there was little difference in the two different supplementation group with spot training. In fact, there wasn’t much muscle growth at all amongst the two groups. However, in both groups who took 20 grams of whey protein and 40 grams of whey protein, whole-body training yielded a huge difference in muscle growth. In short, if you think spot training along with whey protein ingestion is going to make a huge difference in your muscle growth, think again! This study showed that whole-body training along with whey protein supplementation proves to be remarkably more effective than spot training. There is also implication that other dietary factors other than the whey protein in itself also affects how lean muscle is gained. A study involving participants being assigned to a hypocaloric diet, in other words calorie-restricted diet, showed that dietary habits of people also matter in the effectiveness of whey protein on muscle mass growth (Dudgeon, Kelley, & Scheet 2017). When participants of this studied stuck to a diet consisting of 30% carbohydrates, 35% fat, and 35% protein, results showed that there was an exponential increase in the accumulation of lean muscle tissue in addition to an 8-week resistance training program. If there is any take-home message from these findings, it is that you cannot strictly rely on whey protein to gain an optimal amount of muscle tissue. Other factors play an incredibly significant role in muscle mass accumulation. Much of the emphasis is placed upon the whey protein itself by fitness instructors, media, etc. while failing to acknowledge the weight carried by whole-body strength training versus spot training, and a person’s dietary habits other than the whey protein. Dudgeon, W. D., Kelley, E. P., & Scheet, T. P. (2017). Effect of Whey Protein in Conjunction With Caloric-Restricted Diet and Resistance Training. Journal of Strength & Conditioning Research. 31(5):1353-1361. Hulmi, J., Lockwood, C. and Stout, J. (2018). Effect of protein/essential amino acids and resistance training on skeletal muscle hypertrophy: A case for whey protein. Nutrition & Metabolism. 7:51. Macnaughton, L., Wardle, S., Witard, O., McGlory, C., Hamilton, D., Jeromson, S., Lawrence, C., Wallis, G. and Tipton, K. (2018). The response of muscle protein synthesis following whole-body resistance exercise is greater following 40 g than 20 g of ingested whey protein. Physiological Reports, 4(15): e12893. Walter, A. A., Hoge, K. M., Herda, T.J., Costa, P.B., Ryan, E. D., Stout, J. R., & Cramer, J. T. (2011). Effects of Resistance Training and Whey Protein Supplementation on Body Composition, Strength, Endurance, and Muscle Cross-Sectional Area. Journal of Strength and Conditioning Research, 25:S37-S38.